News of the Kilroy Was Here Commemorative stamp is really hard to come by. They (the committee) are not allowed to disclose anything until the formal announcement. 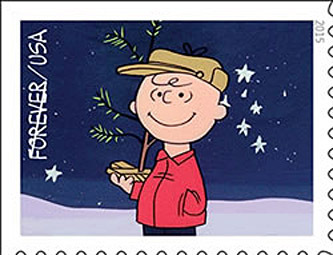 The USPS has announced most of its 2015 commemorative stamps and guess what? Kilroy Was Here was not among the chosen ones again . . . since 2000. I have been at this for more than ten years and am getting tired. Does anyone have any suggestions on how we can continue? I have sent literally thousands of requests through KilroyWasHere.org and hundreds through the cause at Change.com. They are not influenced by that. What would they be? Well there is good news but not as we have hoped for so many years. Two Readers, Don Priest and Sue Davis and her father Henry Elckhoff, have offered a stopgap! First Kilroy Was Here stamps! Simply choose your favorite stamp design HERE or make your own. If you do make your own, please use the Kilroy image found HERE to prepare it. When completed, send me a copy. I will post the stamp design so that readers can use them also. and follow the simple instructions and in about a week you will have 20 or more stamps. One caveat: They don't come cheap. I wanted to include in this update a short expression of the importance of this campaign but no one can do that better than my readers. I have selected a few comments from the request letters I have received since 2005 when this campaign started. "For God's sake tell us what we have to do to get this stamp made before it's too late." 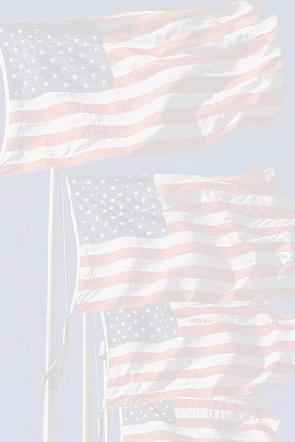 "DO SOMETHING PATRIOTIC FOR ALL MILITARY PERSONNEL, PAST, PRESENT AND FUTURE, PRINT A STAMP THAT WILL BE APPRECIATED BY ALL AND MAY RECALL SOME PLEASANT MEMORIES. THANK YOU." "My Father was a veteran of WWII He gave his life for this country." "I know that my grandfather who served in WWII WOULD HAVE LOVED TO SEE THIS AS A STAMP!" "KILROY WAS HERE" is a definite part of WWII that deserves a postage stamp with the image on it. There are not many of us WWII Veterans remaining and I know that it would be a great tribute to us and later generations of Veterans, as well as our families if you would produce this stamp. I earnestly implore you to favorably consider this request." "My dad told me when he was in Guadalcanal that he put the Kilroy sign up in the officers club that he built there." "YES, we should have a Kilroy Stamp - Vet of WWII, Cold and Korea"
"I took part in the Battle for Okinawa and was in the Army of Occupation in Korea at the end of WW II." "I hope I will live to see this happen!" "My father, who is 87 years old and a WWII Veteran, remembers Kilroy! It would be a great tribute to ALL the Veterans to see Kilroy's "familiar face" on a commemorative stamp. I hope you will issue the stamp soon. Our WWII Vets are fading fast." "Proud granddaughter of 2 WWII men, daughter of 2 Naval officers, an Army Vietnam Vet and Purple Heart recipient, and sister of a Marine"
"Please get the stamp out to the public before any more of our WWII veterans are called home to heaven . My husband is almost 87 and he was hoping it would be out this year . I am sure a lot of other veterans were too . Movie stars may be idols , but veterans are heroes . Don't let them down ." "My father and uncles served in that Late Great Generation. Heard them talk about Kilroy! Are you Kidding, How American is that! Make the stamp. Too many of them are disappearing every single day, Give them tribute, that we are living free and speaking "English" today here in America. And Europeans are living their life styles as they see fit." "Just read your page on the origin and history of " Kilroy was here " and it brought back wonderful memories of my service in the U.S. Navy (1943-1946). Please keep Kilroy alive for my great grandchildren to enjoy - I will promote a " Kilroy was here " stamp, with a letter to the Postal Service. "Seriously, what is the big deal - before they all die - let's get this done! Stop procrastinating - do this now. Thank you - show our appreciation." "Kilroy Was Here captured the unstoppable and irreverent attitude of The Greatest Generation deliciously." "USPS issued the frickin EID Muslim stamp right after 911; why the H*** not Kilroy which is part of AMERICAN history?" "The MUSLIMS have a USA stamp why the *&*@#%$@ not KILROY?" "I just turned 70, and as a kid in the late '40s I can remember when you were not "in" unless you had a plastic, pink Kilroy pin secured to the top edge of your shirt pocket." "It must be done soon as the members of the Greatest Generation will soon be gone. Please do it for all of those remaining WWII Veterans who fought successfully to keep us free"
"Let's honor these vets one last time before they are all gone. And also,"